Home / Health / Know if Diabetes is Permanently Curable? Know if Diabetes is Permanently Curable? – Type 1 which occurs at a younger age or adolescence due to infections or other hereditary reasons. – Type 2 which can occur at any age due to bad lifestyle, less physical activities, increased stress, sedentary work style, and many more reasons. With advanced technology and research work on diabetes cure for ayurvedic medicine for diabetes type 2 has been found. There are ways that help in controlling, managing and curbing diabetes but there is no permanent cure for it, whether Type 1 or Type 2 diabetes. We do not mean to shatter the hopes of people who believe that diabetes is a curable disease, there are various lifestyle changes that do make a huge difference if followed properly. Urban lifestyle is faulty to a great level, improper eating habits, addiction to gadgets, increased stress levels, limited physical activities and such have led to the increase in the blood sugars. Does natural therapy cure diabetes? There are claims from multitudes of organizations and companies that they can treat diabetes using natural therapies but, believe us when we say, they are nothing but fads. The therapies that are becoming fast prevalent such as Guided Imagery, Biofeedback, Deep breathing techniques and so on do help, but in relaxation and lowering of stress to a certain level and reduction of stress helps in lowering the blood sugars. Are supplements of any help? Supplements don’t really cure diabetes but may help in relieving the symptoms and providing temporary relief. There are certain supplements that may be counteractive to your diabetes medications, so it is important that you consult your doctor before starting on any supplements. How do lifestyle changes have any effect in controlling diabetes? Diabetes is all about the rise in blood sugar and the effective way to control diabetes is to control the blood sugar and manage it. In order to keep your blood sugar in check, you need to check the glucose levels frequently, be regular with your medicines, inculcate the habit of brisk walking at least 30 minutes a day, include lots of fibre, greens and fresh vegetables in your diet and most importantly, try to as stress free as possible. Yoga and deep breathing techniques help in reducing stress and also increasing the muscle strength of the body at the same time, increasing the flexibility and agility of the body. Consult a Yoga expert and know the best Yoga postures and Breathing techniques that will help you in keeping the blood sugars in check and relax and keep your stress levels down. Allopathic medicines are prevalent and most consumed medicines all around the world despite the higher side effects they have, like acidity, stomach ailments, gastritis and many more. It is advisable to replace these medicines with Ayurveda or Homeopathic medicines as they are known for no side effects and are effective in controlling the blood sugars. Consult an Ayurveda or Homeopathic doctor to know the best course of treatment suited for your body. 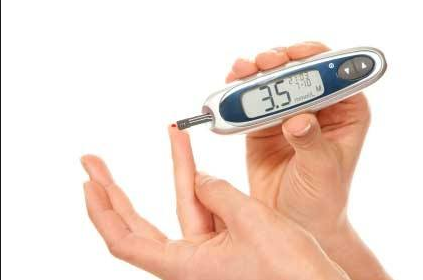 Find the best Ayurvedic medicine for diabetes type 2 treatment here at www.grocare.com. For those suffering from diabetes, it is imperative that they get proper and quality sleep on daily basis. It is better to avoid sleeping in the afternoons and opting for a small nap and being active to get better sleep in the night. Also, it is believed that people who are sleep-deprived tend to eat more and in turn put on unwanted fat. The extra fat is the cause for many health related issues and diabetic patients should try to lose that extra fat accumulated by binge eating and sleep deprived eating. Usually, diabetic patients give up the food items they love in order to keep their blood sugars in check, but this need not be the case. You tend to feel deprived when you have to forgo your favorite food and feel guilty if you have it. You should not avoid your favorite food even if it is harmful to your sugars, eat them but in moderation. Do not overdo and keep a check of what and how often you eat them. For instance, your favorite food is chocolate cake, so instead of giving it up totally, have it once in a while, keep the size of the slice medium and make sure to have it at least 6 hours before bedtime. Just as brushing your teeth, bathing, and combing your hair is a part of your daily routine, so should your diabetic care should be a part of your daily routine. Having your meds, walking, exercising or yoga, eating on time and keeping a check on your blood sugars is very important. It is important to get your blood sugars tested every alternate month and visit your doctor to keep a check on the sugars in your blood. Get the A1c test done to know the sugar levels of two to three months. The bottom line is that diabetes cannot be cured (yet) but with a happy and positive outlook in life and a healthy lifestyle, you can manage, control and go into remission and live a healthy, hearty and happy life.